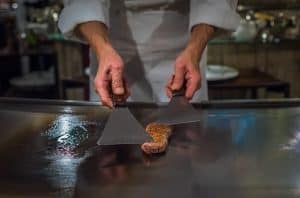 The Best Food in Japan, from Traditional Japanese Food to Indian Cuisine and Even Some Strange Foods That You "Might" Want to Try. Japan is home to some of the best food in the world. The level of quality is very high; the food is fresh, cooked beautifully, and is absolutely delicious. There is also an astonishing number of restaurants in Japan. In any given city in Japan, you could eat at a different restaurant every night for years and not even come close to trying them all. That being said, some restaurants and food are better than others. And just like anywhere else in the world, there are also bad restaurants that makes you wonder, “how does this place stay in business?” Also, some of the food is not for the faint of heart. Here you’ll find my reviews of the best and worst restaurants I have been to in Japan. There are also blogs about popular foods in Japan. Some of which are amazingly delicious….and others are well…interesting. 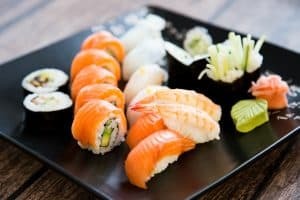 So check it out and get ready for a taste of Japan!